As September begins this week, the start of the school year will be here and students will be filing onto buses and into schools with their colorful backpacks and new school supplies. Shamong Township Schools and Seneca High School are in full swing to get things ready for the school year and are excited for the students to be back. “As always, I am looking forward to a great school year and working with the wonderful students, families and staff of Shamong,” STS Superintendent Christine Vespe said. “The start of every school year is always a very exciting time. We welcome a new group of freshmen and a new senior class. We get to watch our upperclassmen continue their journey to two graduations — their first from Seneca and their second from a post-secondary education. Plus, we get to witness all the amazing things Seneca High School students do in the classroom, on the fields, in the arts and serving the community. The students of Seneca High School are just awesome,” Principal Jeffrey Spector said. All schools begin on Sept. 6, with the K-8 schools having an early dismissal, and continue with full days the next day. Spring break will be April 14 through April 21. For a full list of school holidays, visit the schools’ websites. The last day for high school students is planned to be June 14, and, for students in kindergarten through eighth grade, June 16. At each of the schools, there are a number of new things to expect for the 2016–2017 school year. Indian Mills Elementary School and Indian Mills Memorial Middle School, comprised of kindergarten through eighth-grade students, will start school with an exciting visit from the New Jersey Hall of Fame Mobile Museum on Sept. 12 for the elementary school and Sept. 13 for the middle school. The museum visit is a prize that was won by rising fifth grader Jonathan McAveety last year through an essay contest sponsored by the New Jersey Education Association. The teachers’ opening program focuses on mindfulness in the classrooms. Mindfulness is about deepened awareness, concentration and insight, which will hopefully be implemented this year. The middle school will also be implementing a new science curriculum and focus on social and emotional learning, according to Principal Tim Carroll. “I love the new school year … I’m excited for them to come back,” Carroll said. There was no big construction at the schools other than the addition of a new playground at the elementary school that is ready for the school year. The new playground replaces the old one for pre-k through second grade. It features a rock wall, two slides and climbing apparatuses. The administration believes the children will absolutely love it. Vespe also wanted to thank the maintenance staff for their preparation of the buildings and grounds for the new school year. One major addition to the Shamong Township Schools is new business administrator/board secretary Laura Archer. 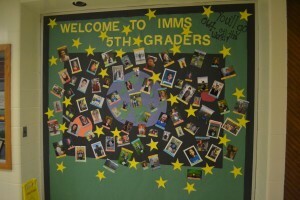 Back to School nights are Sept. 8 for the Indian Mills Elementary School and Sept. 13 for the Indian Mills Memorial Middle School. The high school is continuing its focus on supporting students to create and reach their goals of two graduations. It also is remaining focused on reinforcing positive and healthy decisions. This is highlighted by the Defy the Issue campaign. According to Spector, this is a message of maintaining a drug- and alcohol-free lifestyle that was created within the Lenape Regional School District. For construction, parents and students will notice security and lighting upgrades to the facility. While construction is not complete, Spector said there will be minimal impact on students and staff. As for new administrative additions, former Seneca High School Teacher of the Year Dave Knecht has been added to the high school’s administrative team as supervisor of instruction. Its back to school night is Oct. 6. “We welcome our community to Seneca High School. Follow us on twitter @SenecaFamily,” Spector said. All of the schools are looking forward to the first day of school on Sept. 6. Parents who wish to get involved are encouraged to contact their child’s school PTA and participate in upcoming events. For more information, visit www.ims.k12.nj.us or www.lrhsd.org/Domain/471.